Niagara Falls. For generations, the name of this natural wonder has been synonymous with honeymoons and romance. Many hotels offer special romantic getaway packages, but it's easy to create your own romantic getaway, The New York side of the falls offers various entertainment opportunities, fine dining, antiquing and recreational facilities. Visit Niagara Falls and realize its romantic reputation firsthand. Visit the classic romantic getaway - Niagara Falls. Stay at this Georgian mansion located on a quiet, brick-paved street. Enjoy gourmet breakfasts on the balcony, sun-room or the Asian dining room. Take a tour of local wineries, or obtain tickets for cultural or sporting events at the hotel. 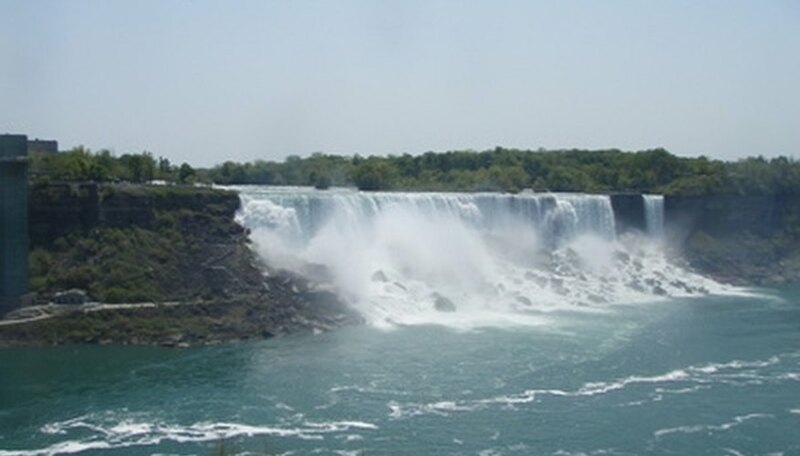 Trips to the Canadian side of the falls are easily arranged, and Niagara Falls is within walking distance. Stay in the romantic guestrooms with antique beds. All rooms include complimentary fresh fruit, bottled water and cable TV and DVDs. All guests receive a $100 coupon good at the Niagara Falls Fashion Outlets. Since 1923, couples have spent romantic getaways at this boutique hotel. Each suite or guestroom is decorated with antiques or high-quality reproductions. Amenities include cable TV with HBO, Jacuzzi, wireless Internet access, Bose stereos and English bath products. Two-bedroom suites include kitchenettes, with a view of the rapids. The Red Coach Inn offers several romantic packages, including its Winter Escape, which includes a split of champagne and restaurant voucher. The Touch of Romance package includes a dozen roses, champagne, chocolates and three hours of limousine service. Celebrate romance in this luxury hotel and casino operated by the Seneca Nation of Indians. Just a short distance from the falls, the hotel offers a full-service spa, exercise facility and indoor pool. Chose from deluxe or corner rooms or one-bedroom suites, all with 24-hour room service. The complex features various places to dine, with cuisines from Italy and Asia, Native American fare and a renowned steakhouse. Visit the casino, with slots and more than 100 tables for games. Catch name performers at the Bear's Den Showroom or Seneca Niagara Events Center. Meggitt, Jane. "Romantic Getaways to Niagara Falls in New York." Dating Tips - Match.com, https://datingtips.match.com/romantic-niagara-falls-new-york-7194146.html. Accessed 19 April 2019.